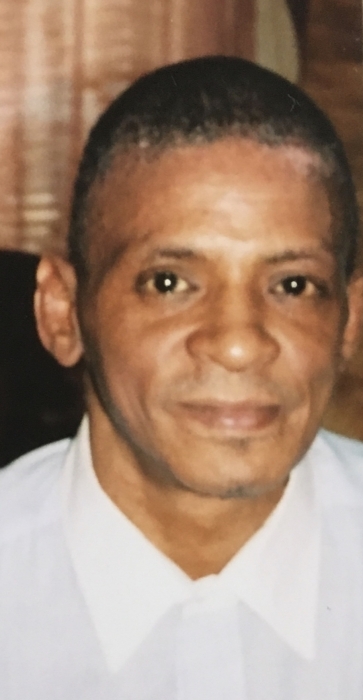 Charles Louis (Chuck) Richardson, Jr.
Charles Louis (Chuck) Richardson, Jr., son of Charles Richardson, Sr and the late Thelma Richardson departed this life suddenly on Thursday April 4, 2019 at his residence. He received his early education in the public schools of Wilmington, Delaware and graduating from Howard High School in 1977. By November of 1978, he enlisted in the United States Army. In 1982, he was employed at the Howard Correctional Center as a Correctional Guard and was later employed at Richardson Grocery, a family business owned by his parents. He was a member of the Mt. Enon Baptist Church during his youth, singing on the Mt. Enon Young Adults Choir. Chuck, as we affectionately called him, life will always be remembered, touching our hearts, with his smile, kind words, kind spirits, the memories we can’t erase. The love of football was is passion. Watching the games during football season was indeed one of the highlights in his life. If not watching the game or channel 2 (Gomer Pyle), you would find him socializing. He enjoyed hearing his brother Dexter play on the piano and sometimes join him in singing along with the rest of his family during holiday or family gatherings. One of his favorite R&B songs is “Zoom” by the Commodores, he would sing along with so much emotion as if he was part of the group. Chuck leaves to cherish his fondest memories; daughter, Cheryl Lynn Brown; son, Chad Harriott; six grandchildren, Zion, Cameron, Natalya, Zakiyah, Carlisle, and Trinity; father, Charles Richardson, Sr; sisters, Minyone Ward and Camille Richardson; brothers, Daniel, Dexter, Jerome Richardson, and Charles Hamilton; a devoted aunt, MaryAnn Gordon; a host of nieces, nephews, cousins, family and friends. Chuck was preceded in death by his mother, Thelma Richardson, who he missed dearly. Funeral will be 11 am on Wednesday, April 17, 2019 at Congo Funeral home, 2317 N. Market St., Wilm., DE. His viewing will be from 9-11 am. Burial in Riverview Cemetery.